Kenya’s next election happens in about 17 months and, many have begun to fret regarding the credibility of the yet-to-be-conducted poll, understandably so, considering our election history. The peaceful transition of power after elections last year in Nigeria, Tanzania, Zambia and Burkina Faso gave Africans all over the continent hope that democracy still exists. On the other hand, Burundi and Ethiopia were at hand to remind us that “democracy” is relative – Pierre Nkurunziza’s forced a third term and Ethiopian Prime Minister Hailemariam Desalegn retained power with almost 100 per cent of the vote. And, just as the world predicted, Yoweri Museveni was declared the winner of the election last month. Tension, however, continues to rise as Opposition leader Dr Kizza Besigye rejected the results and demanded an independent audit. Dr Besigye was put under house arrest severally before, during and after the elections. Niger too recently concluded her elections, with Mahamadou Issoufou taking the lead. The Opposition was already up in arms and had already rejected the results even before an official winner could be announced. Four more countries will be heading to the polls before Kenya’s General Election, and, after claims of rigging in the last two exercise, questions on fairness and credibility continue to be raised, especially after certain leaders publicly claimed that the ruling coalition will “bribe, steal and buy” to win. Electoral democracy is one of Africa’s greatest challenges. The challenges experienced contribute to poor choices for leaders, who, in turn, breed all the social evils crippling our great continent. Poor governance is synonymous with corruption, nepotism, tribe-based politics, poor systems, weak economies and absent development. It is election season in Africa and the world is fixated on the continent! Among issues that affect credibility of elections across Africa include multiple registrations, which then contribute to multiple voting. Late and skewed distribution of election material to different regions, which also speaks to their timely delivery, has often caused speculation about rigging. A number of pragmatic measures and procedures from other global experiences require to be adapted to ensure transparency and credibility in the electoral processes. First, ideally, at least in Kenya’s case, a new electoral body to regain the public’s confidence in electoral bodies would be the first step. There is also need to vet the staff of the electoral commissions to minimise cases of compromised personnel. In brief, the election team needs to be restructured and reorganised. Recruitment, training and deployment must be done early, efficiently and openly, during the registration, verification and voting phases. 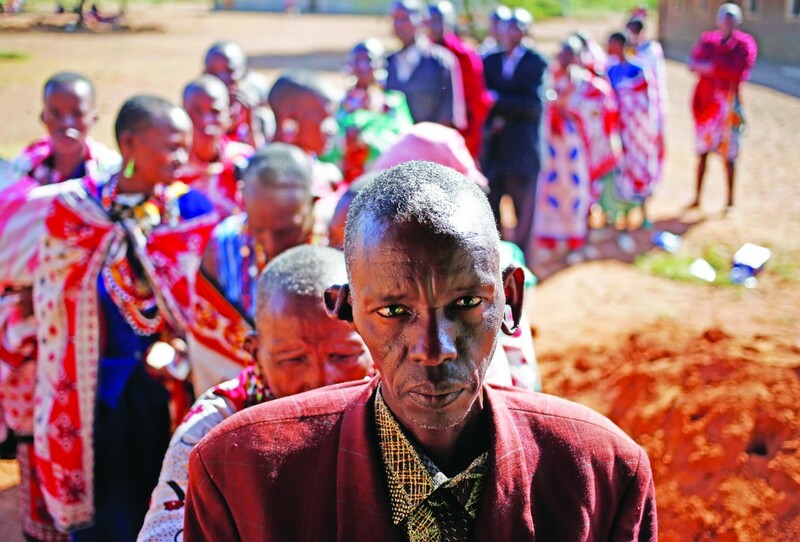 Two, a number of issues have already cropped up – including claims of registration of minors and the vote buying – which only serve to charge and aggravate whatever other problems Kenyans might have with their voting processes. These problems are not localised; they are replicated across the continent, and there must be concerted efforts to address them. Three, before the Nigerian elections last year, one of the recommendations made to enhance transparency was the improvement of security features and unique serial numbering on the ballot boxes, to help identify if any ballot boxes were changed or tampered with. The serial numbering and colour-coding include ballot papers produced according to polling stations. This may all sound very exhausting, but it would work to reduce cases of rigging. Four, civic education, especially in the villages, needs to be conducted. Five, electoral offenders should be made to face the full force of the law to serve as lessons to others. In addition, nations must introduce laws to improve the reforms targeted at elections, as well as include views from all stakeholders to make election processes meaningful and credible. Finally, members of the public must strive to hold public institutions accountable through insisting on transparency. If we are to make any progress, we must begin taking ourselves as seriously as we demand of our leaders.